Antiques Appraisal Advice – How Much is the Stuff in Your Basement Worth? – I interviewed antique appraisal expert Patrick van der Vorst, founder of ValueMyStuff.com/us and former Head of Department at Sotheby’s of London, to discover how to find hidden treasure in your basement or on your next garage sale visit and to learn some general antiques appraisal advice. I’m a huge fan of shows like Antiques Roadshow and Pawn Stars but how do you what something in your basement is really worth? Lisa LaGrou Oakland County Moms – How can you tell if something that is old has any value? i.e. Can you give some specifics for what we should look for when it comes to old paintings, furniture, toys, etc.? General antiques appraisal advice? Antiques Appraisal Expert Patrick van der Vorst – First of all, age doesn’t necessarily mean value. It’s not because something is old that it is therefore valuable, e.g. antique Romain coins can be worth only a few dollars in today’s market if they subsist in huge numbers (example: Claudius (AD 41-54), bronze Sestertius = $20). 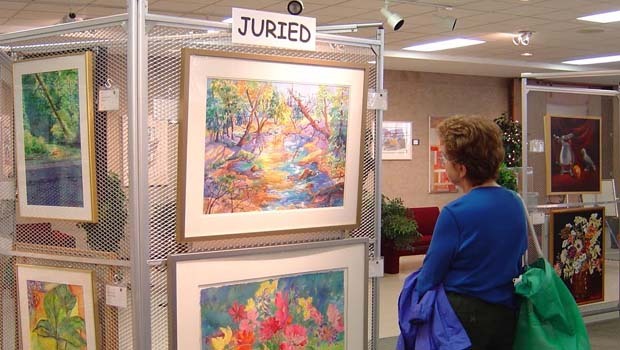 Lisa LaGrou Oakland County Moms – We’ve heard about the scamming antique appraisers. If you have something you think may have some value, how can you get it appraised through a trustworthy source? Antiques Appraisal Expert Patrick van der Vorst – Try and get in touch with large organizations, renowned auction houses, rather than isolated experts. If appraisers are also dealers, then beware, as they might want to quote very low, in order to buy the item cheaply. Try and get some details about the appraisers’ experience, about their previous jobs, studies and makes them claim they are a trustworthy appraiser. Don’t ask dealers for antiques valuations if you want to get an unbiased opinion. Also be careful that auction houses don’t “over”-quote, as they might want you to send your item to them instead of their competitors. Best to check with 2-3 parties before consigning your item for sale anywhere. Certificate of authenticity for Modern & Contemporary art: very tricky area, with very often one single expert worldwide for one artist (e.g. Picasso: Foundation Picasso in Paris), hence there is no point getting a certificate of authenticity from anybody else. Lisa LaGrou Oakland County Moms – Do you have any tips for recognizing treasures when shopping at a garage sale? 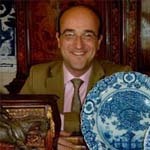 Antiques Appraisal Expert Patrick van der Vorst – Quality of the execution. Are the details fine? Colors well applied? Look for quality of the materials, quality of the canvas (even though some painters in the mid-20th century used rough canvas because they couldn’t afford good materials in the early years of their careers), quality of the bronzes for antique furniture. Dirt etc. are not necessarily a bad sign. It’s what auction houses call ‘country house condition’. Means that the item has a good provenance, and doesn’t come from a dealer’s stock. Watch out for hidden maker’s marks. Condition – items of good manufacture should resist wear (apart from glass or ceramics of course). Avoid the main auction houses’ sales – bad place for bargains, as all items get properly inspected and catalogued. In general, just follow your own taste, eyes and heart; often it is the best measure. Trust yourself! Lisa LaGrou Oakland County Moms – What brand names or specific items should we look out for when searching for valuable antiques? Antiques Appraisal Expert Patrick van der Vorst – Vintage Clothes: Alexander MacQueen, Dior, Hermès, Vivienne Westwood, Louis Vuitton. Silver and 20th century decorative arts: Tiffany, Garrards..
Toys & Dolls – early Steiff teddy bears would be most collectable; early complete Barbie; early Star Wars memorabilia..
Patrick van der Vorst, founder of ValueMyStuff.com, was a Director and Head of Department at Sotheby’s London for over 12 years. His passion and enthusiasm for making the art-identifying and valuing process as approachable as possible has driven him to create this easy-to-use website, launched in September 2009. Since the launch they have valued an original Monet, one of the very first Irish bank notes, a medieval chastity belt and a set of early dentures. More information please visit: http://www.valuemystuff.com/. For more info on Antiques Appraisal Advice, visit www.valuemystuff.com.